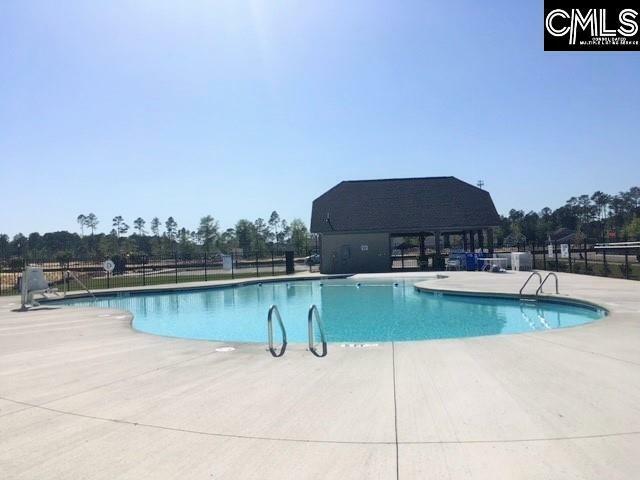 Sterling Ponds is a New SWIM community with beautiful Ponds. The Denton offers it ALL. Brick and hardiplank craftsman elevation AND, fully sodded with irrigation system, expansive backyard with a large covered porch perfect for outdoor entertaining. Exceptional value is found within this spacious 4 bedroom, 2 bathroom ranch style home, located on a premium home site with view of the pool. You will appreciate the master suite featuring an immense walk-in closet and master bathroom with adult height vanity and dual sinks. The open kitchen space overlooks the family room and dining room to provide a comfortable area for your familys gatherings. Features included: granite counter tops in kitchen and bathrooms; luxury vinyl tile throughout and stainless steel appliances. Enjoy the scenery on your covered lanai and the community pool located right across the street. Excellent location with convenient access to major highways and close to Fort Jackson. STOCK PHOTOS, FEATURES MAY BE DIFFERENT.